This recipe is an absolute winner! 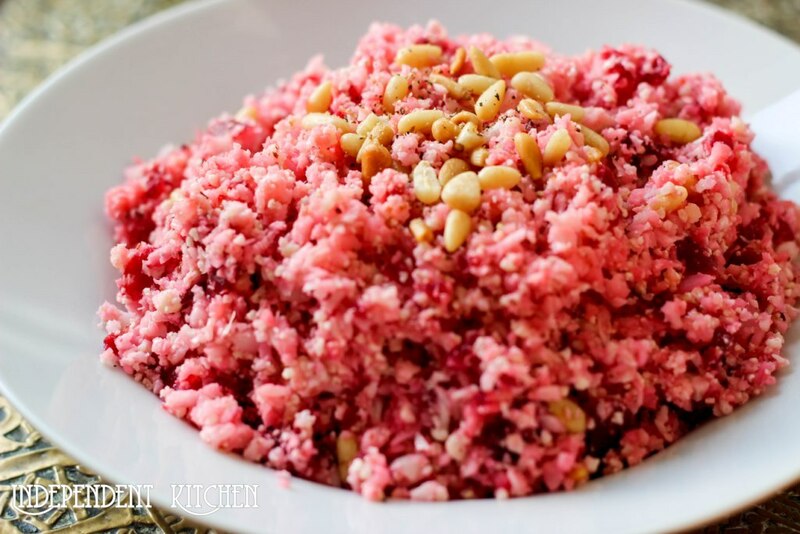 Not only does it look stunning but it tastes amazing and is a great gluten-free alternative to couscous, cauliflower couscous really is a winner. My last post of fresh beetroot and carrot juice explained the benefits of beetroot. 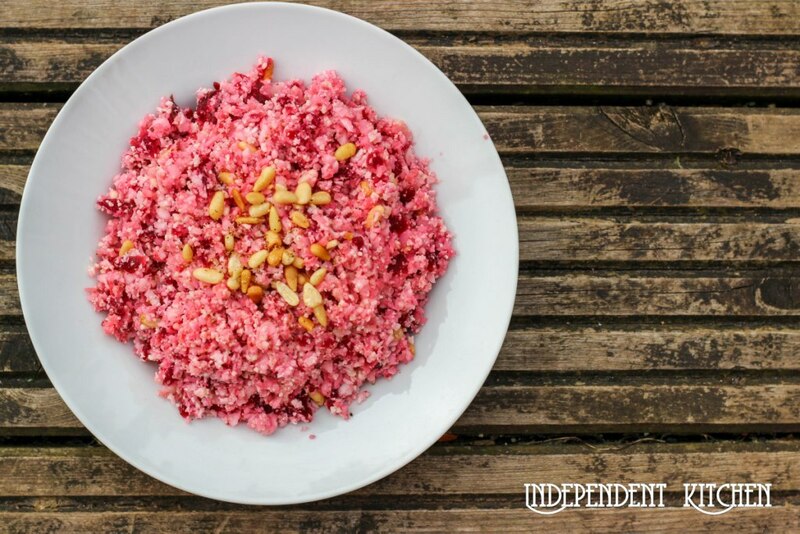 This couscous is incredibly flavoursome showcasing Middle Eastern spice mixes of Ras El Hanout and Zataar. Roughly chop the cauliflower, add to blender along with the salt and pepper and pulse to create a fine couscous-esque texture. If you don’t have a blender finely chop by hand. 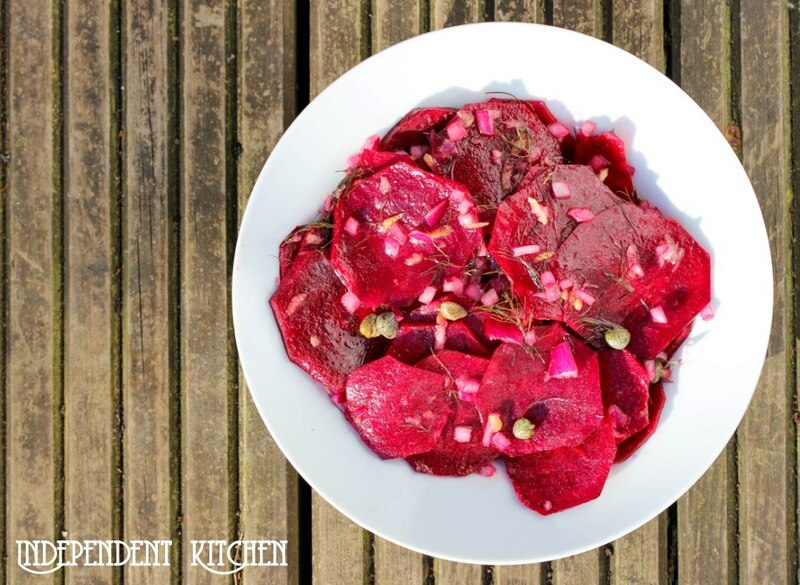 Peel the raw beetroot and pulse in the blender, or chop finely by hand. Heat the oven to 230 degrees, place the nuts in a tray to roast for 5 minutes (optional). Place a large frying pan on a low-medium heat and add the ras el hanout. Toast until fragrant, about 1-2 minutes. Throw in the cauliflower and beetroot and warm (optional). Mix in the nuts, drizzle over the olive oil, sprinkle the Za’atar on top and serve. 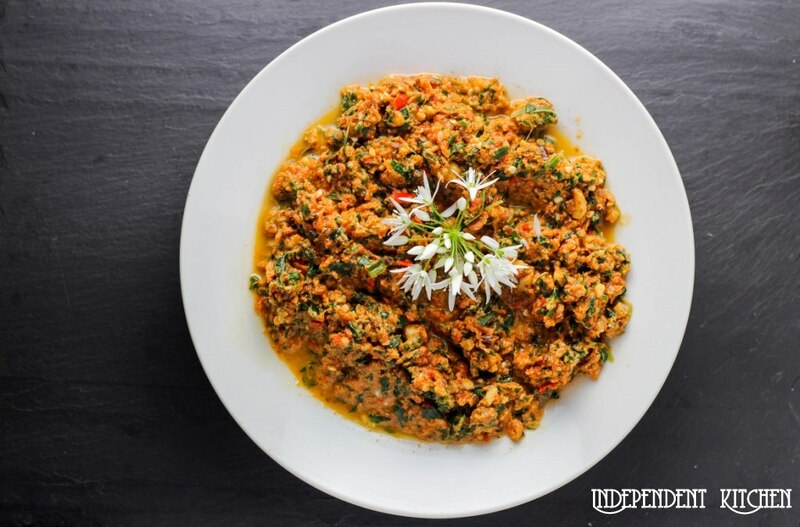 *Ras El Hanout is a Moroccan spice blend which consists of anywhere between eight and eighty different ingredients – from fragrant rose petals and bitter cloves to cumin, coriander and cardamom, it compliments the cauliflower couscous beautifully. It literally means “top of the shop” and implies a mixture of the best spices the seller has to offer. Or you can always mix your own Ras El Hanout spice blend. **Za’atar is a traditional Middle Eastern herb mix of thyme, toasted sesame and sumac. 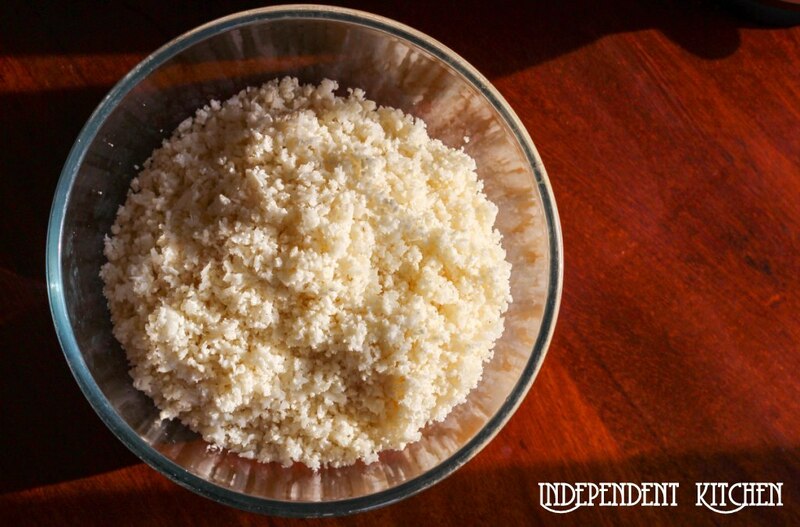 The fragrant and complex flavours combine perfectly with the simplicity of the cauliflower couscous.